spending the day developing project ideas and making more of the blown glass table set items.. drinking glasses, bowls and functional vessels will be ready soon! The process benefits tremendously from teamwork. Good communication, a sense of humour a steady hand and years of skill are all requires from both the gaffer (Jason) and his assistant; today Evan Kolker who is an incredible glassmaker, on other days Jason assist him in the making of his intricate and highly technical skill requiring glass art objects! It is a real stroke of luck that Jason found this glassmakers community. Where many colleagues also have very high skills levels. 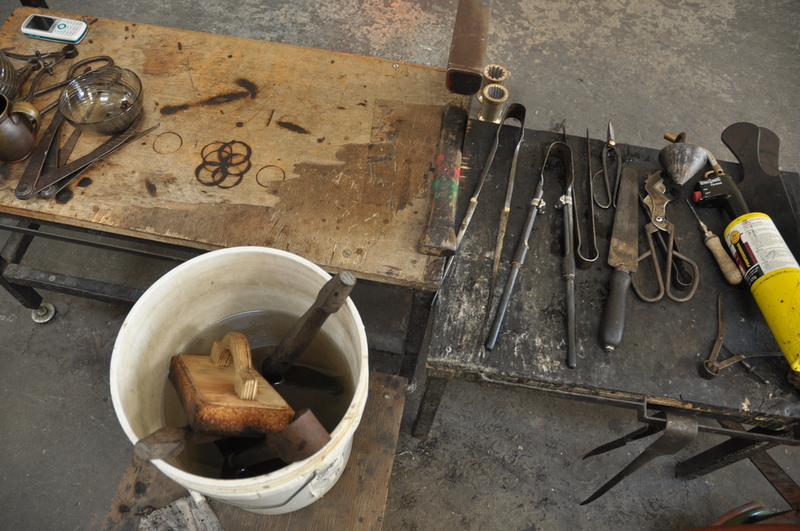 There is also Alex Abajian, the studio owner and another outstanding glassmaker. 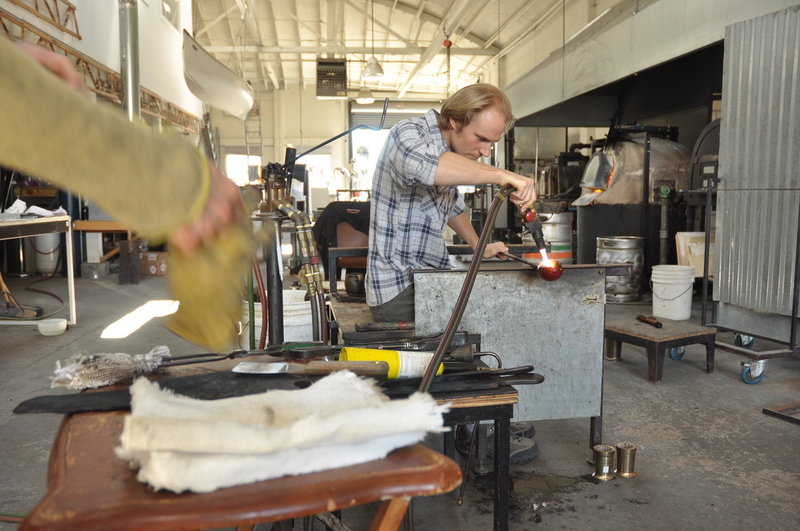 A series of glassmakers rent the studio and there are a lot of fantastic projects happening here. You wouldn’t know what you are missing until you see what these people make out of molten glass..